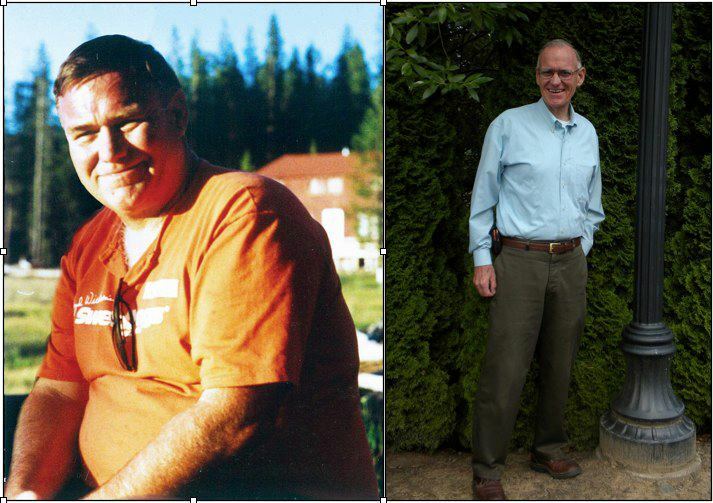 Greg says, "I am a guy and thought I was doing OK, but by my 59th birthday, things were happening to my health, causing me reevaluate the path I was on. I had already lived longer than I had expected to. Both my grandfathers had died in their mid 50s and as a younger man had no male role models leading the way to show me that there was life after 50. My reality at this point was, I was on blood pressure medication and the doctor had given me a prescription for a c-pap machine. The little twinges in my chest were talking to me and I realized that if I wanted to see my grand kids grow up and graduate I needed to reexamine my life and perhaps make some different choices. Polly and I had been talking to friends who had lost weight and were getting healthier using the "Take Shape for Life" Program. Having had both success and failure losing weight in the past, I finally decided to give the TSFL program a try. It seemed better than the alternative! Now at 63 years young, I'm 90 pounds down from my highest weight and am experiencing life in a whole new way. I'm looking forward to being involved in the lives of those I love for many years to come ... I have a plan to follow and feel great! Each one of us has a story to tell and although we share much in common, we are all unique. If you have a story of change in your life I encourage you to share it. If you have been considering rethinking your current situation, I applaud you and hope my story might encourage you to do so. Thanks for taking the time to hear a part of my journey, I wish you all the best as you follow your life path."